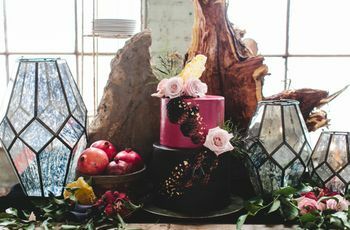 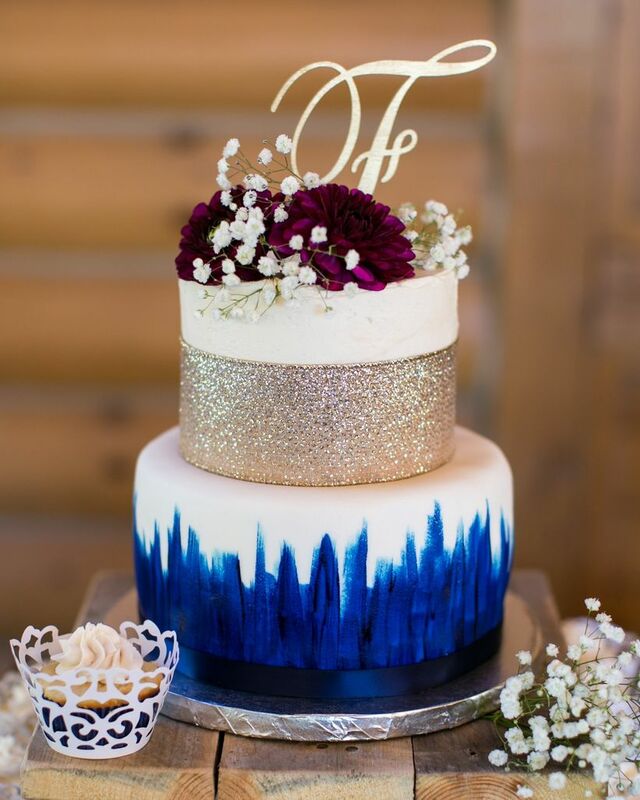 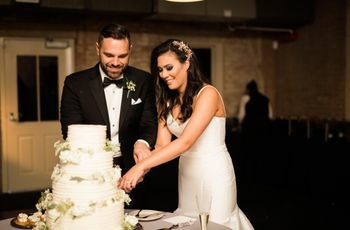 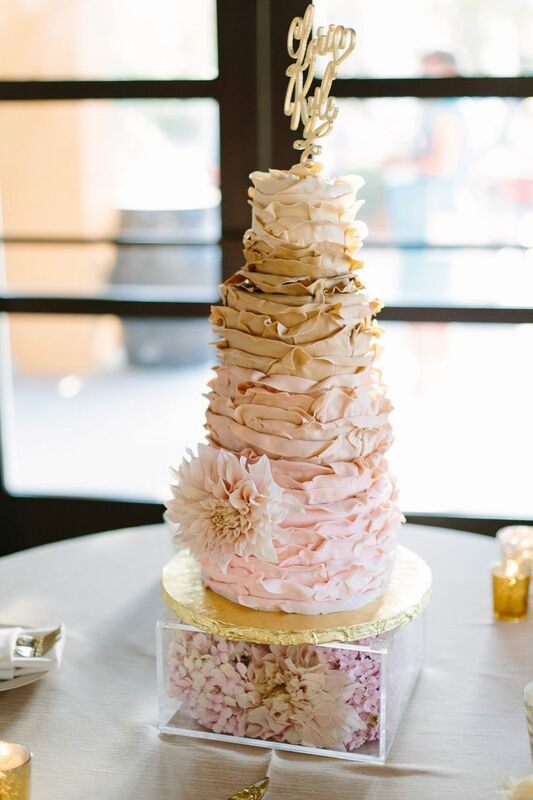 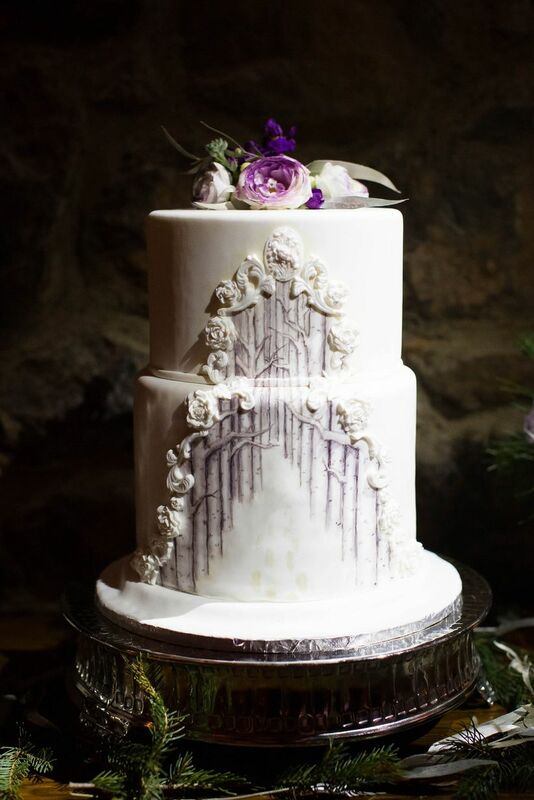 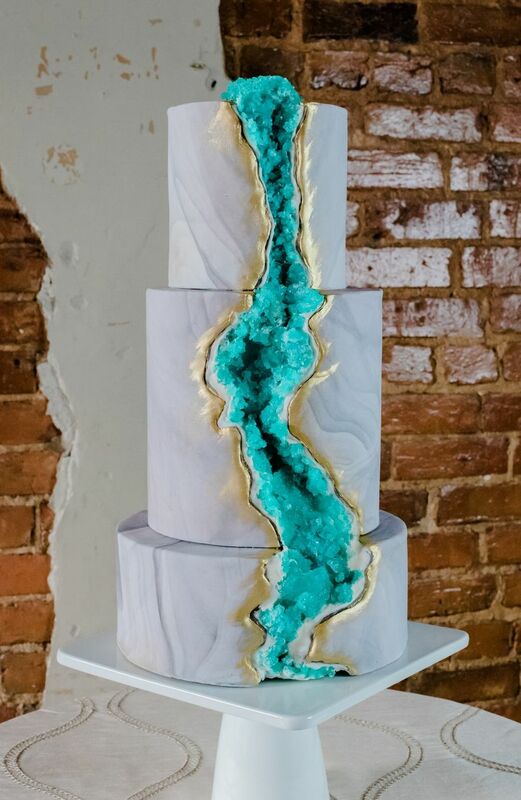 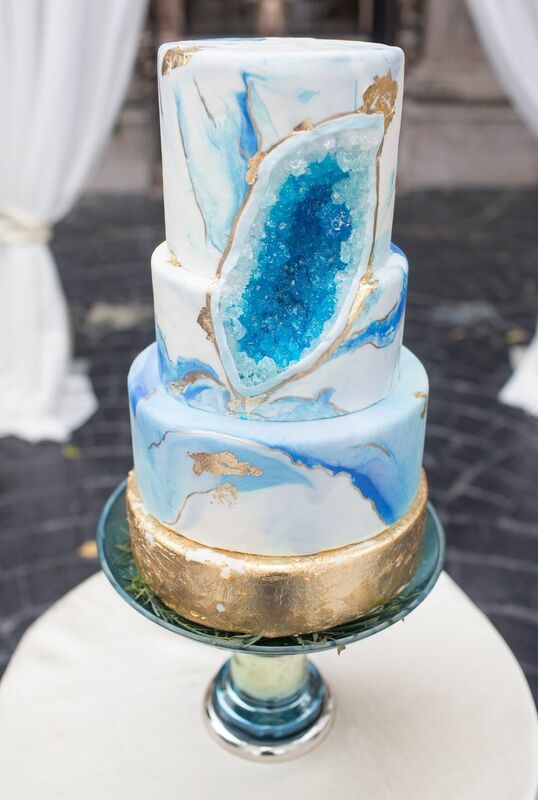 Your wedding cake is one of the easiest ways to add a splash of creativity to your big day. 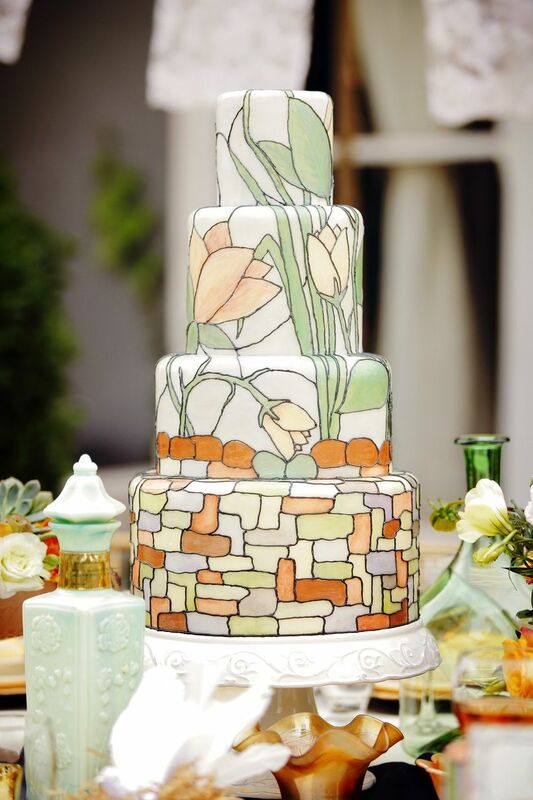 Ask your baker to design something that totally embodies you and your future spouse—the more unexpected, the better! 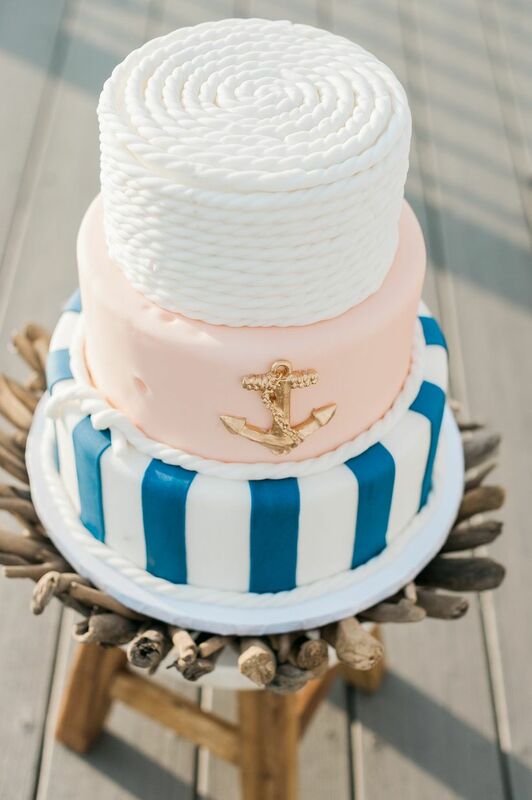 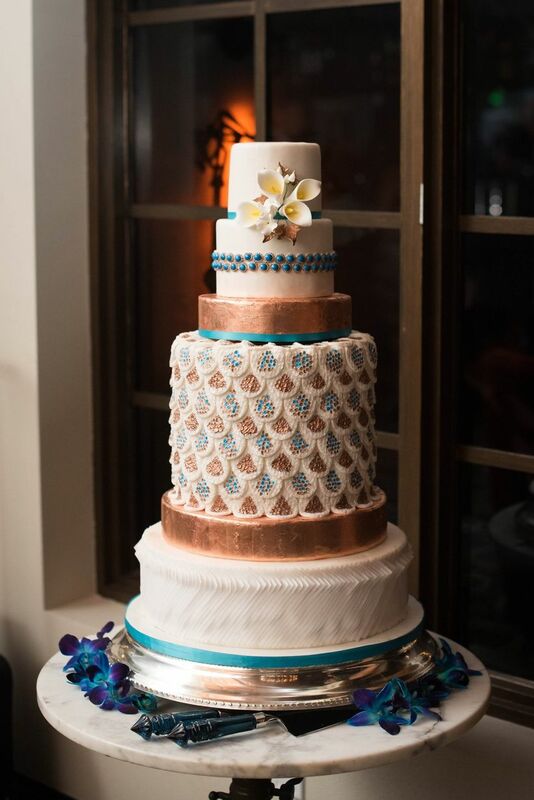 Look closely at the top tier of this nautical cake—it's designed to look like rope!Cake by Enticing Icings & Custom Cakes Ltd.
Take buttercream frosting to the next level with subtle metallic gold details and clusters of fresh blooms for a bohemian, romantic effect. 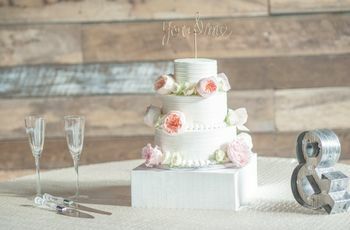 Cake by The Hungry Hero Dessert Co. 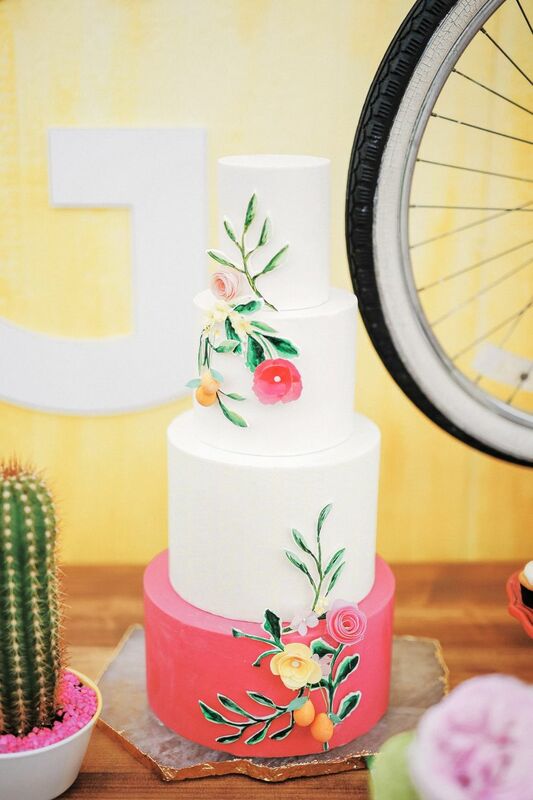 Bright colors and 3D flowers make this cake oh-so-cheerful.Cake by Hey there, Cupcake! 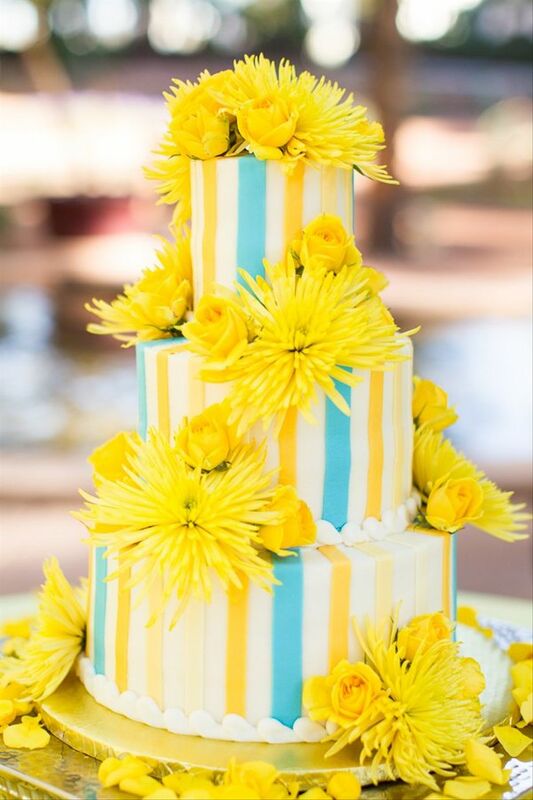 Turquoise + yellow = instant happiness! 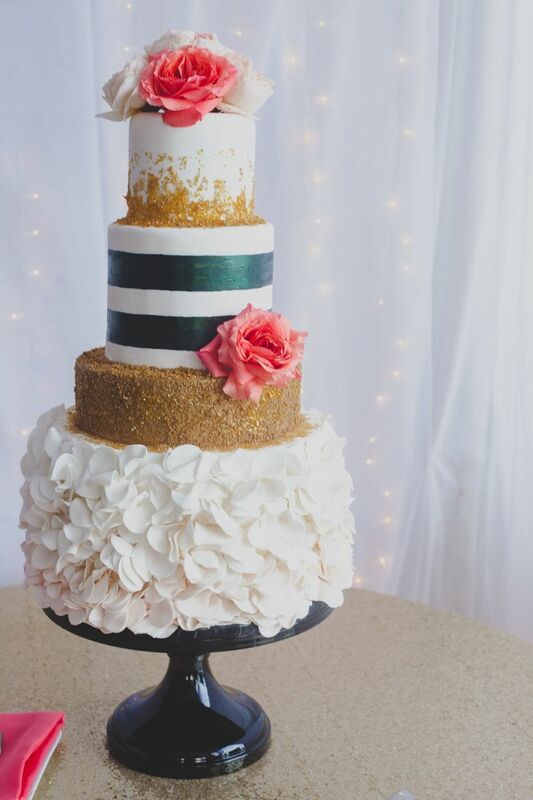 This baker added eyecatching stripes and chrysanthemums for good measure. 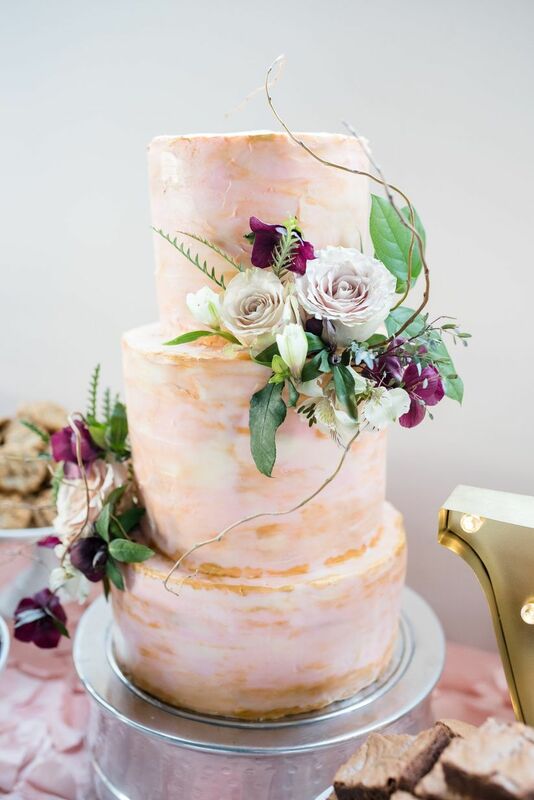 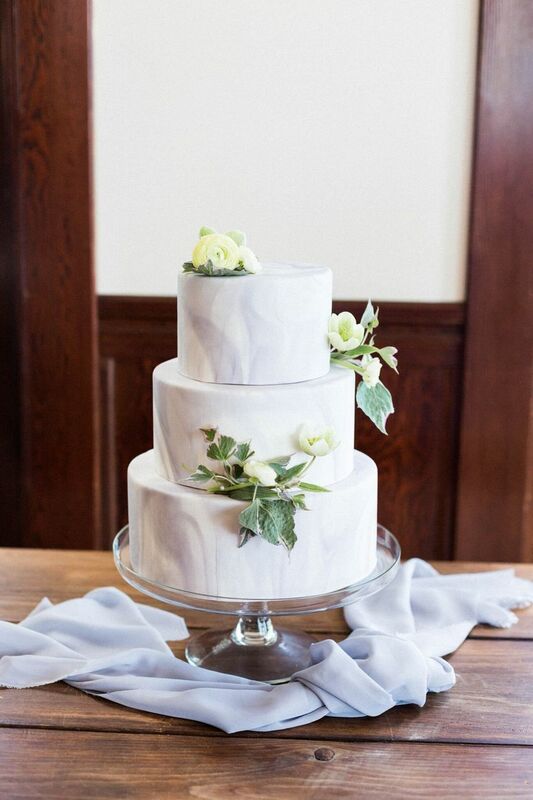 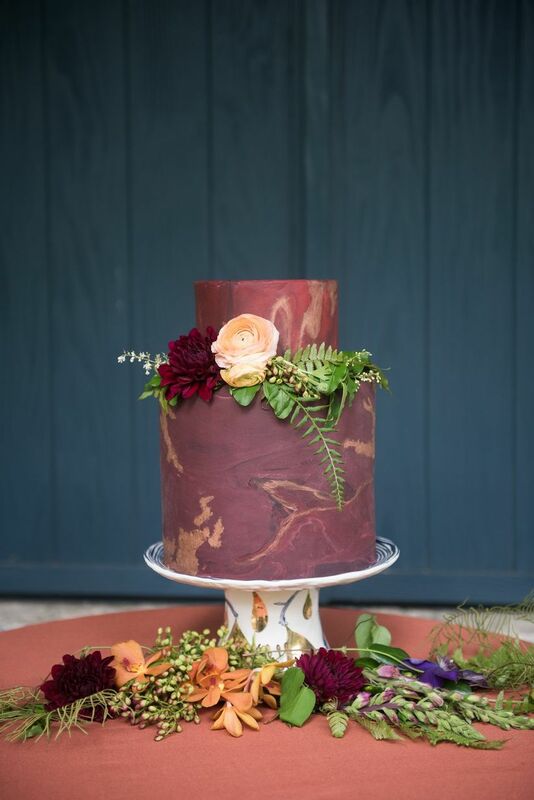 This gray cake is a subtle (and oh-so-pretty) take on the marbled trend.